Here’s a classic Mel Tillis song from 1980-81. It’s gotta be a crazy life in the country music world. There are so many moving parts and different things going on. Then there is the feeling for an artist and his or her team that you may never know when it’s all over. 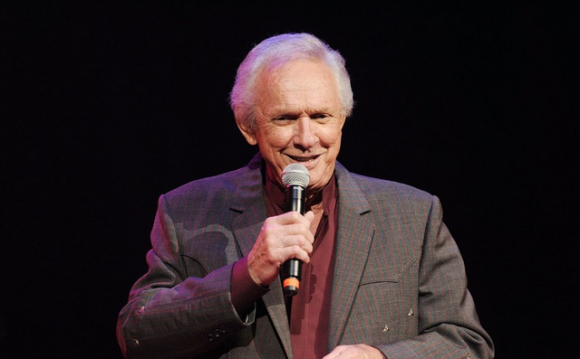 Mel Tillis has been a country music icon for decades. He’s a respected songwriter and performer. He’s had huge hits for other artists and also huge hits of his own. For one of his number one hits, though, Mel found a song from another great songwriter, Roger Murrah. In 1980, Mel released what would turn out to be his last #1 hit at radio, Southern Rains. That’s kind of sad when you think about it. As an artist you reach the top another time in your long and successful career. The times goes on and you realize that big hit was the last of your career. It probably happens to all of us in some way or another. Time just catches up. Mel continued to have hits after Southern Rains and he’s still recognized today wherever he goes. I know he’s well respected in the industry and he’s still out there performing. It was also always apparent that he was proud that his daughter, Pam Tillis, found her own massive success in the ’90s. They’re both two of my favorite country artists of all time. There are a number of Mel Tillis songs we could flashback to on this Throwback Thursday, but today I was thinking that this would be the perfect one. Let me know if you remember it.